In a, frankly, mind-blowing post this morning, Blizzard has announced that it will be giving away one FREE PACK with each and every quest completed between March 26, 11:59 pm PDT and April 9, 11:59 pm PDT! That means, if you stockpile a few quests and time things juuuuust right, you can end up with seventeen free packs* from this hype event! The announcement also reminds us that the live reveal stream will take place on the 26th, at 11 am PDT, so the timing of the event hints to a commensurate reveal season and a possible Witchwood launch on April 12, 2018! *We think. The “Quest for Packs” limited us to one quest entry per day, so we could see that same limitation applying here, but there has not yet been any indication that that is the case. The announcement did state that Challenge a Friend would be disabled during the event, but it is also unclear if/how it counts for the person who is challenged if the challenger happened to have stockpiled one prior to the event. Check out the full post and then hype-off with us in the comments, below. To ring in the coming Hearthstone Year, we’re throwing a New Year of the Raven party! Every time you complete a daily quest*, you’ll also be awarded a card pack. 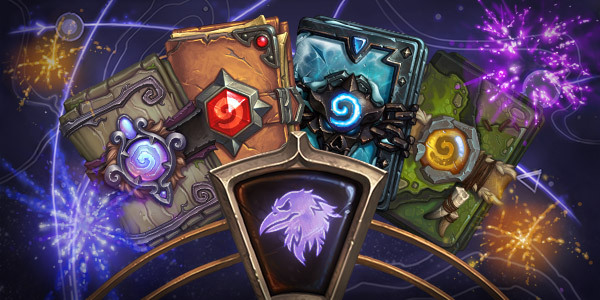 These packs can be from Journey to Un’Goro, Knights of the Frozen Throne, Kobolds & Catacombs, or even The Witchwood! 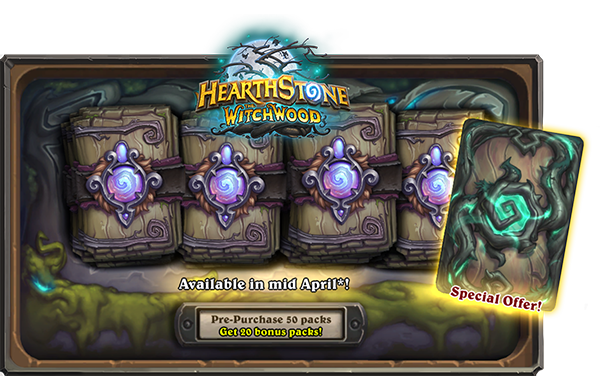 You can tear open The Witchwood card packs after the expansion goes live in April. The party starts on March 26 at 11:59 p.m. PDT and lasts until April 9 at 11:59 PDT, so don’t be late!